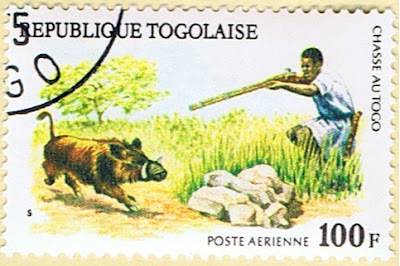 Each of the designs features a diiferent type of animal and method of hunting. 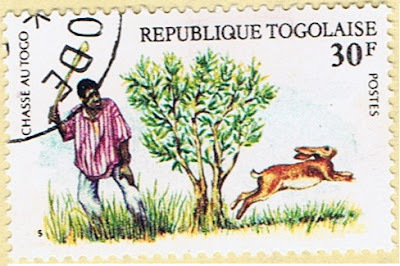 The 30 Franc value shown above features a hunter using a club to hunt rabbit. The 40 Franc value features a bow hunter, hunting beaver. 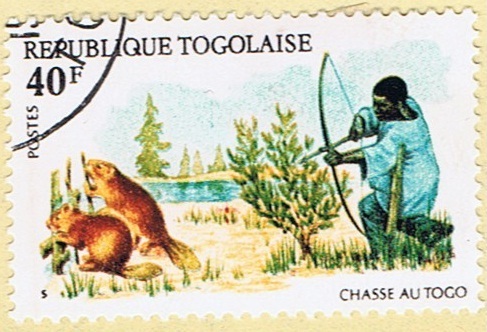 You can also see that the hunter seems to have a machette at his side. 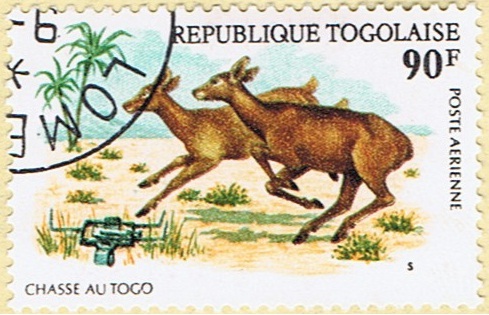 The first airmail stamp features a couple of deer. 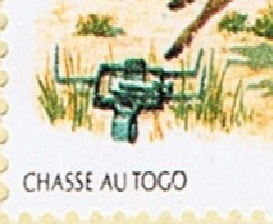 Although no hunter is in the image, I believe the item near the lower left of the design is a type of foothold trap.